I feel like I’m in an enviable position in many ways. Disturbed at work … or just disturbed? I did write a whole paragraph about the various situations that folk find themselves in, but with the best will in the world, it still made depressing reading, so I’ve deleted it. If anybody out there really wants to appreciate their own life more – drop me a line and I’ll cheer you up with some figures. Where do I stand in all this? In a military career spanning 20+ years I saw enough of life to appreciate my own survival, so anything else was a bonus from then on. I followed that with 20 years of retail management, during which I saw a whole new spectrum of life and attitudes. Here I am today, with a few days to myself, but even at work now I’m only there three days a week – and it’s not management. This is not a pose … this is reality. First, it will let you all know what I’ve been reading recently, what I’ve been writing and that I do both … oh yes I do! Secondly, it will refresh my own memory of what I’m up to these days – because there really is so much of it. I’m serious, there really is! There are competition entries, site updates, the next novel, a little poetry, e-publishing and would you believe mentoring, but that’s all for next time. Okay, having said all that, I’ll just check my links are working, add a photo to create more interest, LOL … and then I’ll be back on to prepare the next post. Today I must really make an effort to read other blogs. Oh, and by the way, thank you for reading. It’s Tuesday, it’s near the end of January and the campaign is now well and truly underway. My employer, Ryman is selling Red Nose pens at an unbelievable rate and once again it’s great to be at the heart of such a great fund-raising event. Last year my alter-ego was Doctor Sorders (as seen on the front of my ‘Rhyme Scenes – Volume 1, Humour’). This year my alias is Tam O’Shanter and as the graphic shows, there is a hint of Scottishness about my outfit. Further to my pledge to donate the proceeds of all sales of my eBooks to the fund, I have now reduced the prices to $0.99 which means if you’re a Brit, it will cost you less than £1 for any of the books. To put it simply, if you downloaded my novel and all four of my books of poetry, it will cost you less than £5. You can sample before you buy! 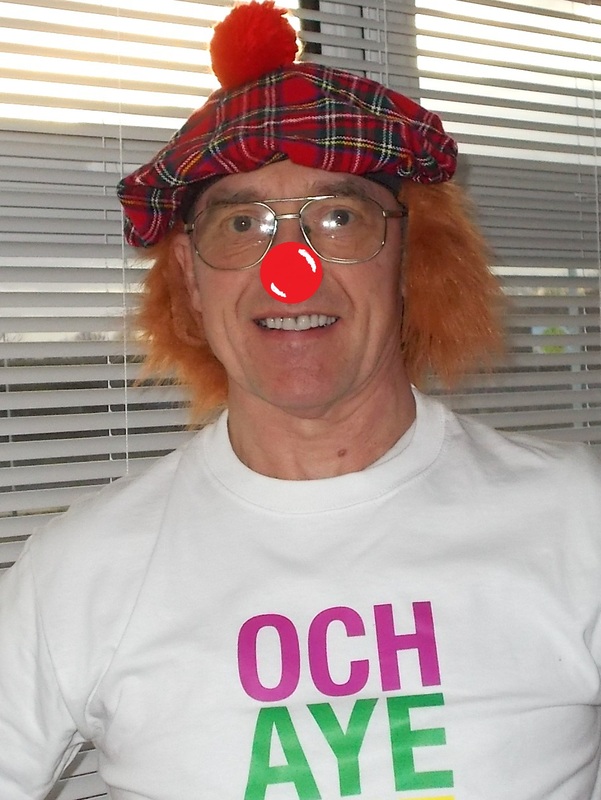 With effect from this week I’ll be at work, dressed as seen here until the end of the fund-raising period – 15th March. I’ve made some Comic Relief 2013 ‘business cards’ to give to any of our customers who would like to help sponsor me by downloading my books. My personal efforts started yesterday and I’m pleased to say I’ve had two downloads already – so at least things are going in the right direction. This evening I handed out some of my Comic Relief cards to members of the Inkerman Writers, our local writing group and I’m hoping there will be a response or two from there. Many celebrities are raising awareness of the plight of children like this, please help me to raise funds. I don’t mind if you download a book, or more and don’t even read them – I’m only interested in the fund-raising. Comic Relief 2013 – Buy an eBook to help raise funds! What can I do that’s different from other fund-raising ideas? How about donating the proceeds of all sales from my novel and series of poetry books? Sound good? Okay, it’s a deal – and for the cynical among you, no, I’m not joking! Now we need some parameters to work from. 1. The figures will be calculated from Monday 14th January 2013 up to and including Friday 15th March 2013. 2. All monies will be added to the funds raised by other Ryman Limited employees. I now work for our local branch on a part-time basis. The Ryman stationery company is owned by Theo Paphitis, entrepeneur, millionaire, philanthropist and all-round good bloke. On alternate years the company sponsors Comic Relief or Sport Relief as appropriate. Cash is raised by selling sponsored items like ‘Red Nose’ pens. ‘Comic Relief’ T-shirts are bought by the employees to increase the funds. Hundreds of thousands of pounds is raised by individual employees and groups within the Ryman company – some of whom do very strange things for sponsorship. If anything particularly eye-popping comes up I’ll mention it here. With the best will in the world I could put my hand in my pocket and make a moderate donation, but I would much prefer to give more and with the help of my e-Books and the generosity of lots of other people I can do that this year. Sales of my e-Books would be nice, but it would be more gratifying for me to be able to build a sum of money to donate to Comic Relief 2013. So, what do you, my prospective fund-raising buddy need to know? 2. The novel, ‘Ten Days’ is a romantic thriller, but can be enjoyed equally by male or female readers (honestly, I know). 3. The four books of poetry are: ‘Humour’, ‘Love and Romance’, ‘Natural History’ and the latest release, ‘Military Matters’. There will be more books to come, but at the time of writing these are available immediately for download. 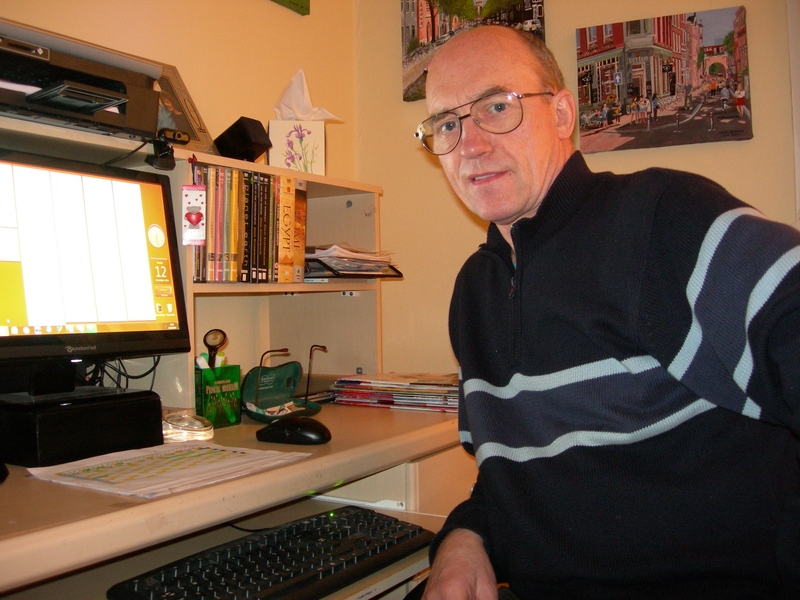 By using Smashwords to publish, my novel or poetry books, they can be downloaded as: .mobi (for Kindle), Epub (for Adobe, Nook, Sony, Kobo, iPad, iBook), PDF (for PC or Laptop), RTF (for wordprocessors), PDB (for Palm readers/apps). We can reduce this …. No pressure, but please remember, all the money paid for my eBooks between Monday 14th January 2013 and Friday 15th March 2013 will be donated to Comic Relief 2013.